Flipping houses can be a path to wealth if you play your cards right, but it can also result in money pits and small returns if you don’t know what you’re doing. To make sure that you’re maximizing your investment and using your time wisely, it helps to spend some time considering what you’re getting yourself into. 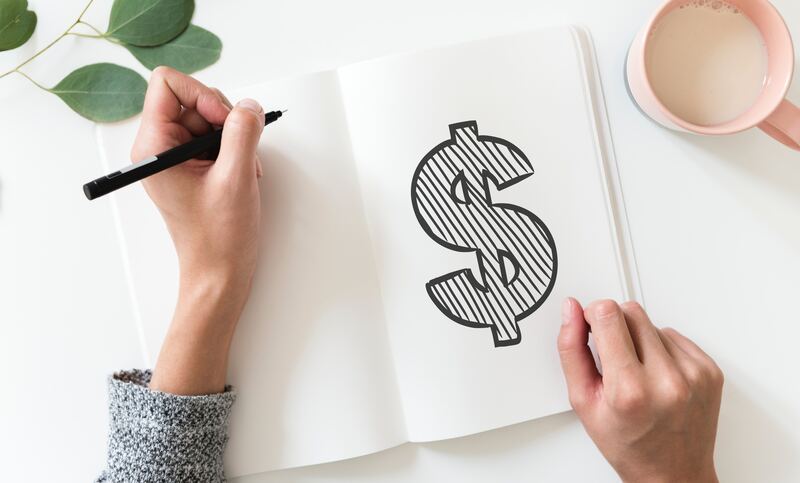 If you’ve never flipped a house before, but the thought of being your own boss and managing your own destiny is enticing, then you’ll need to educate yourself about what the flipping process looks like and how you make your money back in a timely manner. So before you get ready to flip your first house, make sure you’re considering (and finding answers to) all of the following questions. Which is more important, purchase price or sales price? In 99 real estate flips out of 100, there’s an obvious correct answer — and it’s purchase price. Some rookie flippers don’t realize that there’s an upper limit to any sales price they can possibly attract for a flip, no matter how nice it looks when they’re finished. People shopping in the area will only be willing to spend so many dollars per square foot on a home, and unless you plan on adding square footage (not usually the best way to make money on a flip), you’ll be pretty limited in terms of how high you can set your selling price. That makes your purchase price the most important aspect of your first real estate flip. You don’t want a house that’s just a little bit underpriced for the market — you want a real deal, a house that’s well under the average market price for the area. These houses usually need some work, and it’s not always easy to locate them and snap them up before other would-be flippers do, so once you’re aware of how purchase price is going to affect your sales decision-making, it’s time to figure out a plan for finding those homes. How will you find the best deals? In most markets, there’s more than one fix-and-flipper looking for a real estate steal, so perusing the MLS while crossing your fingers probably isn’t a great strategy. Most successful flippers who have been doing it for years will have one or more sources for finding these underpriced homes. Divorce court or probate court, which manages unsettled debts when someone dies, can be two good sources for flippers to find those homes. Foreclosed homes might also be a good option for you as a flipper. The trick is to find a home that is more or less sound, but needs some cosmetic work to bring it up to par with the rest of the market. Ideally, your first flip won’t need anything major like new plumbing or electrical work, foundation work or any other big, expensive fix that’s necessary but mostly invisible. It’s much better if you can put your money where buyers’ eyes will be in terms of updates. Should you get an inspection? Even if you’re paying cash for a home, it’s a really good idea to hire an inspector when you’re flipping your first home. The last thing you want to do is discover while you’re renovating that the house has dry rot or another big, expensive fix (see above), and an inspector can identify those potential issues before you claim the house at the closing table. Ask the inspector to focus on the major issues, but it’s also helpful to get an idea of what features might be outdated or not up to code so that you can address them while you’re fixing the place up. Which improvements can you tackle? We’d all like to fancy ourselves experts at something — but if you’ve never used a screwdriver before, “practicing” contracting skills on your first flip is probably not something you should try. Think about the things that you have experience doing and doing well, whether that’s hanging drywall, painting, installing cabinetry … or absolutely nothing. You need an inventory of the skills that you bring to the table and what you’ll need to hire for, so be brutally honest in your assessment. There are some people out there with a lot of experience in home improvement who might want to tackle most of the flip themselves. If that’s you, then that’s great — and congratulations on building such enviable life skills! — but don’t forget about timing. If you can hire help and get the house done twice as quickly, that could be well worth the hours you’re spending on contracting help. Who’s going to help you? Most people can’t tackle a house flip all by themselves, and the most successful flippers have a solid team of helpers (and even backup helpers) who share the burden and meet the deadlines. Once you’ve assessed your own skills, think about what gaps you need to fill and start looking for people who can fit one or more of your gaps. Ask them about their rates and availability, and make sure you pay them on time and maintain good working relationships with them. If this is going to be the first of many high-return flips, then you’ll probably want their help again pretty soon. What’s your timeframe — and is it realistic? A realistic timeframe is going to depend on exactly what needs to be done to the house, which is another excellent reason to get an inspection. Some fixes will take longer than others, so make sure you’re fully aware of what the house needs before you put it back up for sale and make sure you build in plenty of time for each task, plus some wiggle room. Weather, illness, missing supplies or tools, and any number of other annoyances could interfere with your timeline, so anticipate some “scope creep,” as project managers call it, and accommodate it in your timing so that you’re not working against the clock. Watching television, it’s easy to believe that professional fix-and-flippers can pick a house in just about any neighborhood and make lots of money on the flip. It’s a lovely fantasy, but it just isn’t true — some markets are much more lucrative than others for fix-and-flippers. Markets that are experiencing a lot of price growth, or “hot” markets, tend to yield lower returns for flippers than up-and-coming markets, at least in part because the asking price across the board for any home is high. Look at the markets where a flip might make sense for you and do some research before you dive in and start making offers. Talk to real estate professionals about what the typical asking price and price per square foot are in the area, and don’t make any decisions about where to plant your first flip until you’re sure you understand the market well enough to choose wisely. What will you do to balance your portfolio? The most successful house flippers usually are dabbling in more than one type of real estate investment, balancing their portfolios to help build wealth. For example, many house flippers are also buy-and-hold rental investors; maybe after every third or fourth or fifth flip, they sink their profits into buying a house to rent, and they keep that house for years. Whether it’s offering lease options or entering the buy-and-hold arena, it’s probably a good idea for you to figure out which diversification methods appeal to you so that a single missed flip doesn’t sink your business entirely. Can you juggle multiple deals at once? A professional fix-and-flipper knows that they are only as good as their next deal, and the best ones have a method for lining up the next flip while they’re wrapping up their current project. It takes time to search for and buy a home, and if you wait until the flip is done before you start hunting again, then you’ll miss opportunities and wind up with weeks of flipping downtime when you could be working on a new house. Think about where you’ll find your next flip and start working on it before you’ve wrapped your current one in order to build momentum, stay busy and use your time to its best advantage. Can you think like an investor instead of a homeowner? When you’re flipping a house, it can be tempting to outfit it exactly the way you’d like it if you were going to buy it. From fixtures to features, some flippers get carried away and start choosing top-of-the-line or custom work that might look amazing … but, honestly, doesn’t really appeal to everybody. Instead of thinking like a homeowner (and imagining yourself moving in), think like an investor. Choose materials and features that are classic and long-lasting, offering wide appeal without sacrificing too much in the way of quality. Although you don’t want a market so hot that price growth is out of control, you do want to look at a real estate market where homes are moving relatively quickly. Once you’re finished with the flip, you’ll have to get the house on the market and sell it — and that house is going to be your financial responsibility until it’s sold, so it’s wise to find a market where you won’t be waiting too long for qualified buyers to bite. Flipping houses can be a fun and rewarding way to make money, freeing you from a daily office grind and giving you the opportunity to run your own business. But make sure you understand what it entails and do your homework before you buy your first flip if you don’t want to burn out before you really get started. If you’re smart and thoughtful, you can turn that first flip into the first step on a new career path.